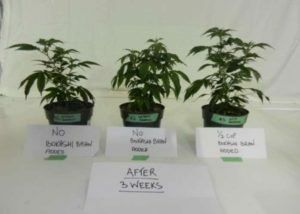 We’ve fielded many calls from medical marihuana growers asking whether they might benefit from using bokashi bran as a soil amendment. We were curious ourselves. So we asked one of them if they would allow us in to do a case study: Does using bokashi bran increase the medical marihuana (marijuana) yield? The initial results are impressive! This grower grows only 18 plants at a time. 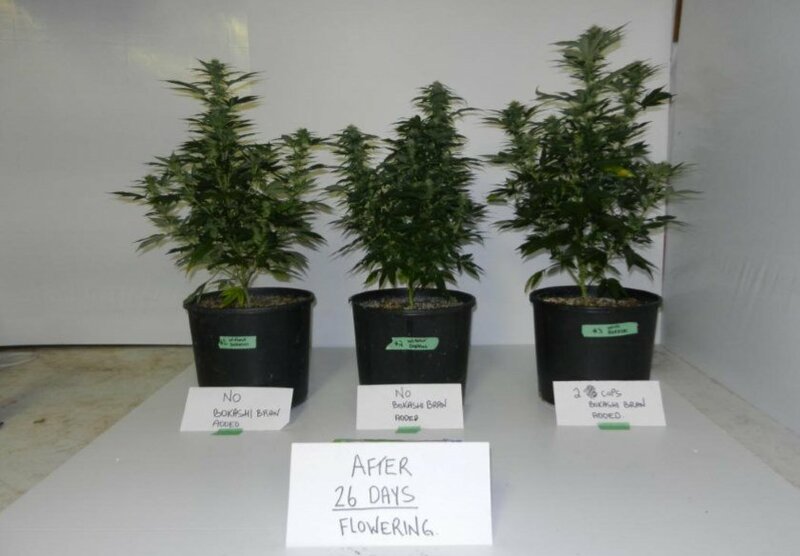 He has grown the same strain of marihuana for more than 4 years, with consistent results. The strain is “hash plant”. He uses 2 x 600W grow lights, in an indoor environment. 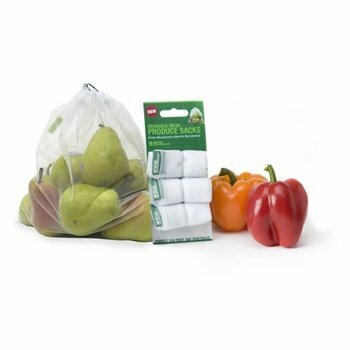 This grower has absolutely no experience with bokashi. As his production is small, and he didn’t want to risk losing out on what he says is a consistent yield, he allowed us to use just one of his 18 plants for this bokashi test. We began the test with a fresh round of 18 healthy looking baby ‘clones’. 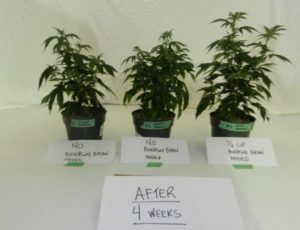 Our grower planted 17 of these clones in small 4″ pots, as he usually does, and in the 18th pot we mixed in a half cup of bokashi bran with the soil before he planted the clone in it. This 18th plant was to be our bokashi test plant. We would compare how this plant grew throughout its life cycle, all the way to harvest, compared to the other 17 plants. The growing medium he uses is a soilless potting mix. Watering and feeding was done using his regular store bought supplies (non organic by our observation). We revisited the grower after 3 weeks, and took photos. To get an easier perspective in the photos we are showing just three plants: two non-bokashi plants, and the one bokashi plant. The two non-bokashi plants we selected were identical (to our eyes at least) to the other 17 non-bokashi plants. We notice that the bokashi plant, on the right side, has grown bigger than the other two plants. Once again, we see that the bokashi plant is a bit bigger still. Four weeks into the growing cycle, our grower repotted all plants into larger 2 gallon pots. At that time we mixed in 2 cups of bokashi bran into the 1 bokashi test plant, as it was being repotted. Here are a couple of photos showing three of the repotted plants. 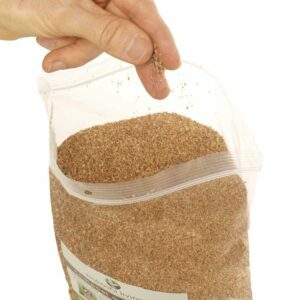 Remember, there are 18 plants in total (one with bokashi bran added and 17 without). The photos only show three of the ‘non-bokashi’ plants as all of the 17 plants looked very similar. The next photo shows 26 days into the flowering, or budding, cycle. We notice that the bokashi plant is still visibly a bit larger. And it seems to have more buds on it. 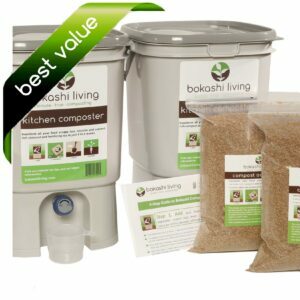 We already know that bokashi composting is great for our gardens and we know that many growers have been adding bokashi to their soils to increase plant health and yield. But this is very exciting to see the results before our own eyes. We recognize that it was not an exact test, strictly speaking, because we had only one plant to work with. But this one plant was randomly selected, and to us did appear to look perfectly the same as the other 17 clones did when we began the test. So far, the findings are all qualitative… the bokashi plant looks bigger and stronger than the others and appears to have more buds. We are very excited to see the final results and compare the yields from the 18 plants. The final results are posted here. Even at the time when this post was written, our grower was already convinced that bokashi bran is beneficial to his marihuana plants. He will be adding it to all of his plants in the future!